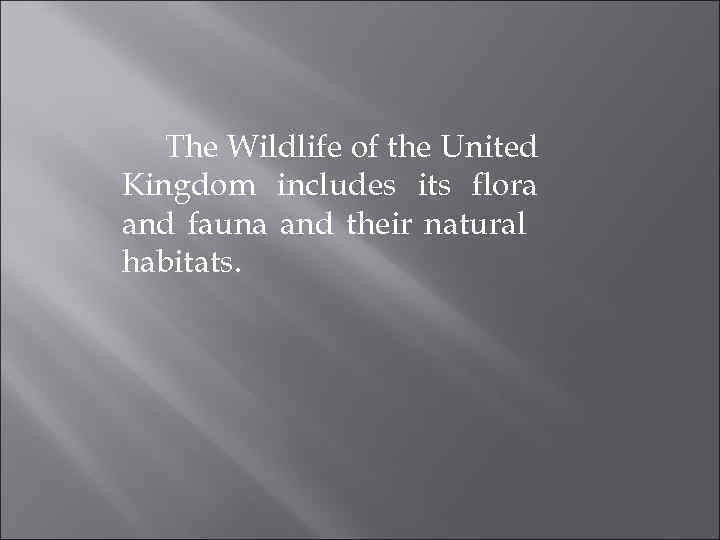 The Wildlife of the United Kingdom includes its flora and fauna and their natural habitats. 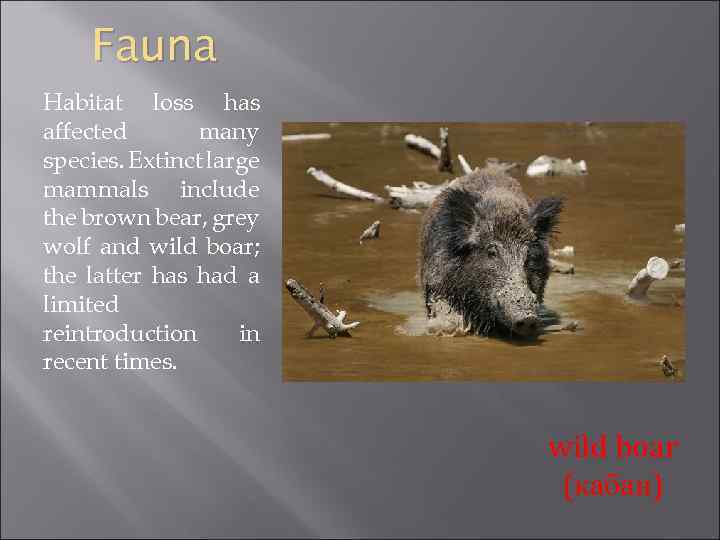 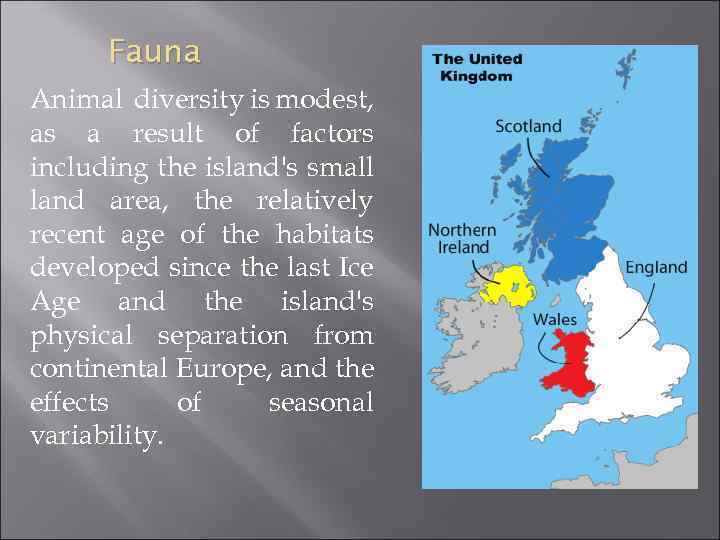 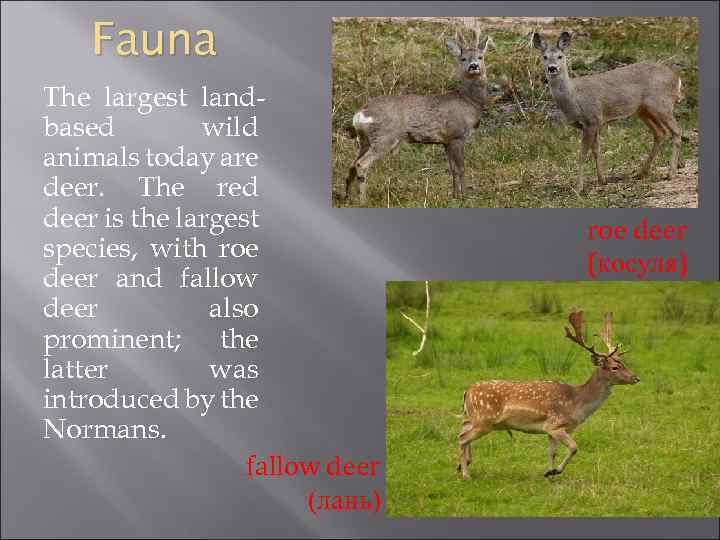 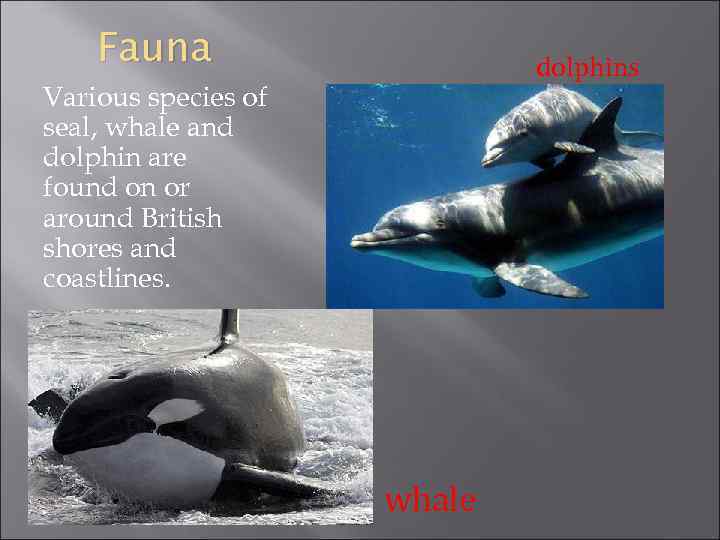 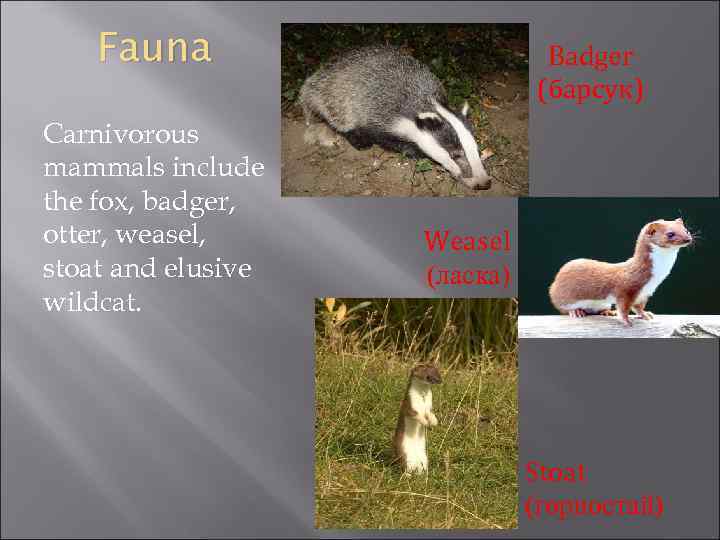 Fauna Animal diversity is modest, as a result of factors including the island's small land area, the relatively recent age of the habitats developed since the last Ice Age and the island's physical separation from continental Europe, and the effects of seasonal variability. 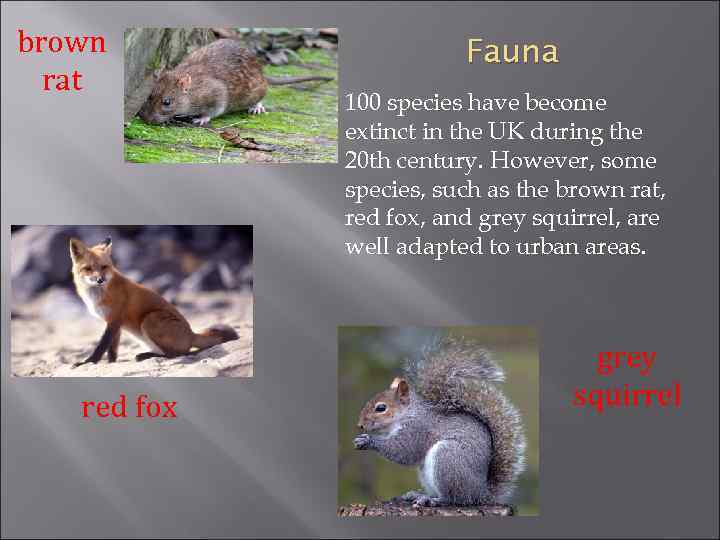 Fauna There is a wealth of birdlife in Britain, 583 species in total, of which 258 breed on the island or remain during winter. 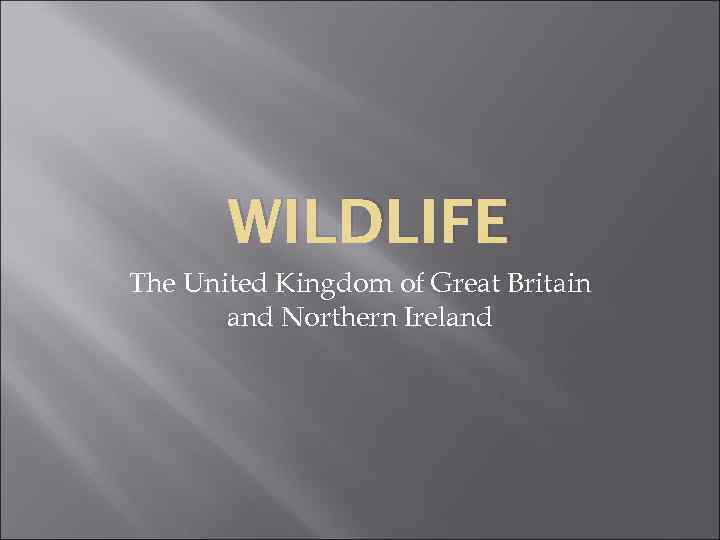 Because of its mild winters for its latitude, Great Britain hosts important numbers of many wintering species, particularly ducks, geese and swans. 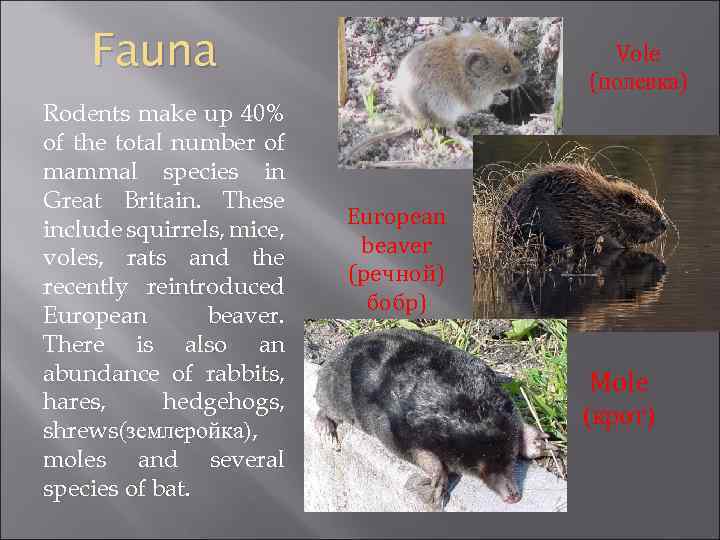 Other well known bird species include the golden eagle, grey heron (серая цапля), kingfisher(зимородок), pigeon, sparrow, pheasant, partridge(серая куропатка), and various species of crow, finch(зяблик), gull, auk(гагарка), grouse(шотландская куропатка), owl and falcon(сокол). 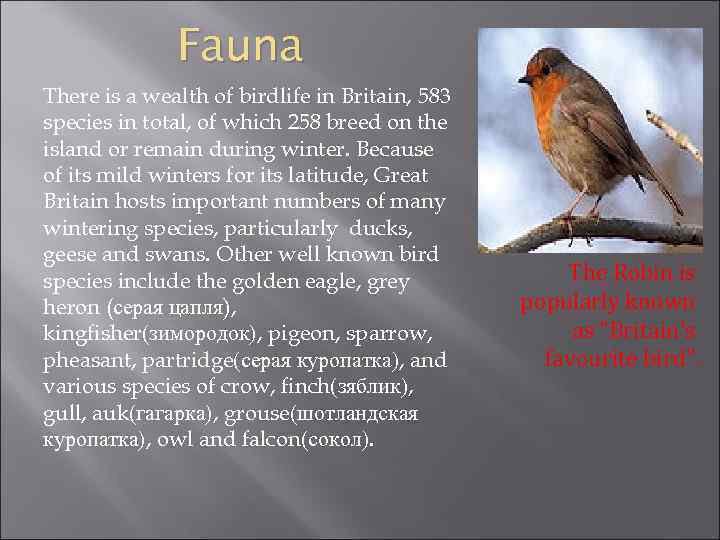 The Robin is popularly known as "Britain's favourite bird". 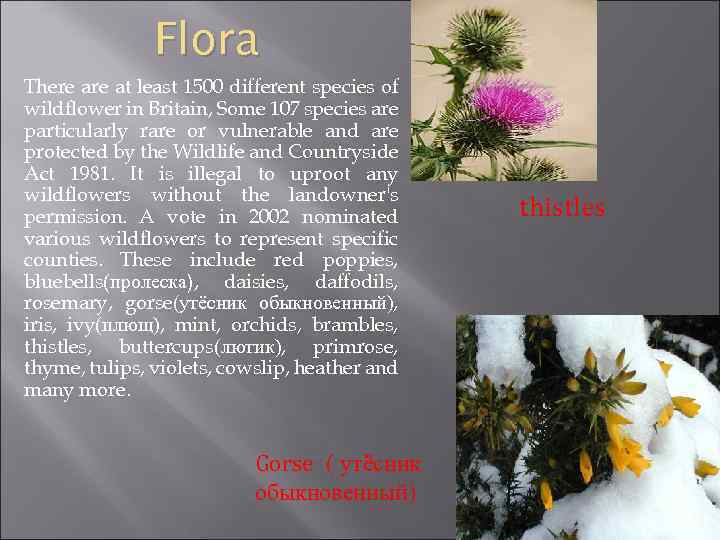 Flora In a similar sense to fauna, and for similar reasons, the flora of Great Britain is impoverished compared to that of continental Europe. 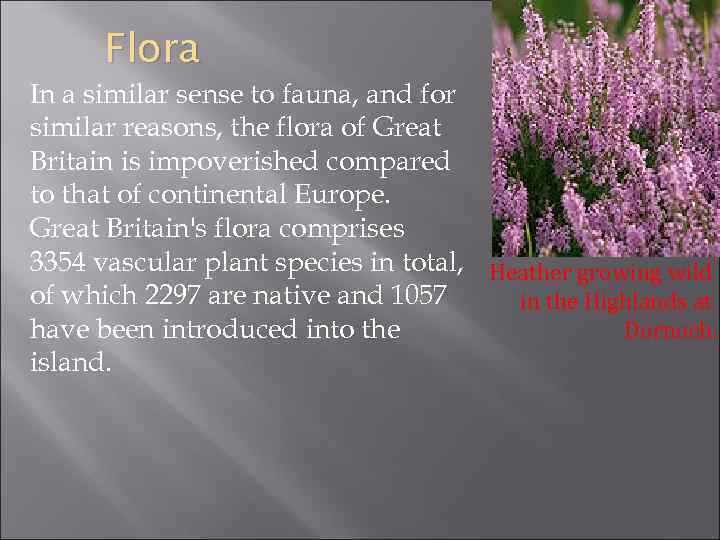 Great Britain's flora comprises 3354 vascular plant species in total, Heather growing wild of which 2297 are native and 1057 in the Highlands at Dornoch. 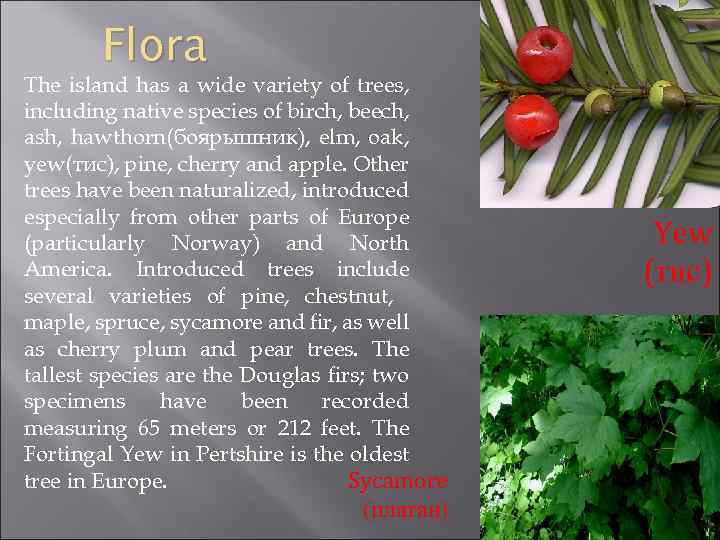 have been introduced into the island.